Ancient Palmyra, sometimes called the Venice of the Sands, has fallen to the forces of the so-called Islamic State (IS). The group is now expected to systematically destroy this World Heritage site on video, just as it has devastated other famous archaeological sites such as Assyrian Nimrud and the city of Hatra in Iraq. A woeful tide of plunder and destruction of museums, ancient artefacts and sites has flowed across Syria since civil war broke out there, and with IS exploiting the chaos to claim more and more territory, the destruction has extended into Iraq. The fate of stones and pots might seem to pale into insignificance alongside the colossal human tragedy overtaking the region. Yet these survivals from the past represent far more than just lost tourist revenue. They are a testament to the societies which generated the three great Abrahamic religions and the histories of the diverse modern peoples of the region, deeply precious parts of global cultural heritage. And for many Syrians and Iraqis, they are a core part of their identity and sense of place in the world. Some, such as the now-ruined great medieval souk of Aleppo, were still-functioning places of work or trade. The Aleppo souk was part of a beloved urban landscape, providing a sense of place and rootedness in much the same way that, say, Covent Garden might for Londoners, or Montmartre for Parisians. 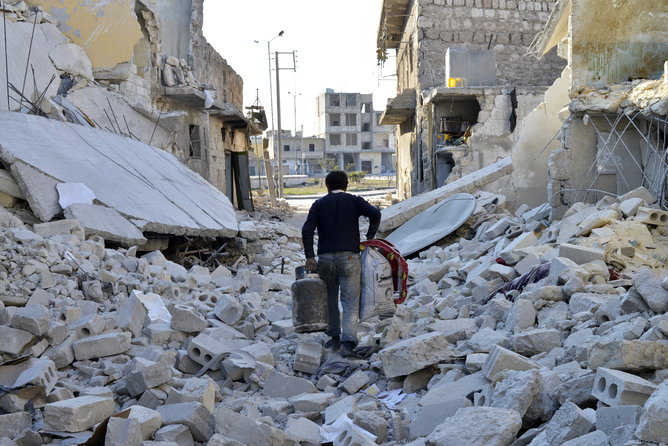 The destruction of cities such as Aleppo adds to grief over lost family members, or the bitterness of exile. Now, those who survive face the anguish that even the familiar historic landmarks of home no longer stand. For many Syrians, ancient Palmyra is a source of national pride. This oasis city in the parched steppelands between Damascus and the Euphrates was built by ancestors of the modern Arab population, from the proceeds of their trading acumen which brought Chinese silks to Rome—hence comparison with the Venetian Republic. Under its famous queen Zenobia, this city-state even briefly defied Rome, and has bequeathed to us the exquisite architecture of its great temple and streets, and remarkable tomb sculptures portraying its citizens. This is much more than mere stones. It is such a part of modern Syria that Zenobia and the city’s ruins feature on banknotes. Destruction of archaeological heritage is often part of the “collateral damage” of war, but the Syrian Civil War and wider IS-led chaos have seen it put to grotesquely instrumental use. This is, after all, part of a grim political project. Alongside its shocking videos of horrific violence, IS’s campaign to create a brutal new monocultural reality relies on ostentatiously obliterating all artefacts of a different, multicultural and largely tolerant past in Syria and Iraq, a pattern established in antiquity and continued through the Islamic period. Hence the videos showing IS’s forces smashing “ancient idols” and dynamiting monuments. And alongside this crude theatrical vandalism, archaeological heritage is also being systematically looted simply for money. Archaeological remains are priceless parts of our world, like surviving pristine natural ecosystems. 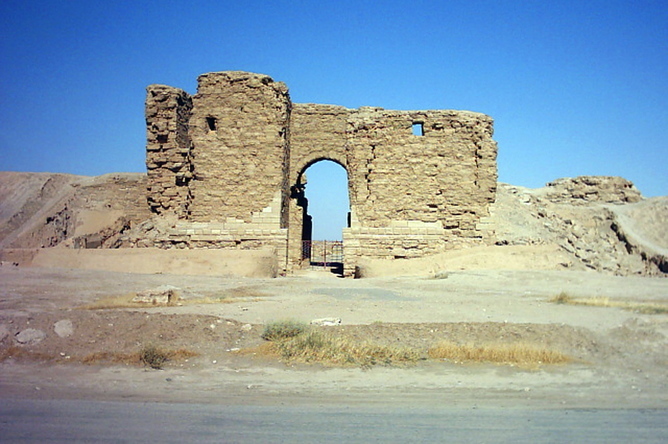 But whereas an ecosystem can be restored if part of it survives, as is being attempted in the marshlands of Iraq following Saddam’s destruction, archaeological remains cannot regenerate. Once disturbed, if not carefully recorded, their testimony is lost forever. In the Middle East, as elsewhere in the world, opportunity and sheer poverty have for millennia driven people to reuse stones from forgotten buildings, or to dig up ancient tombs for valuables. And today, developed countries are host to a voracious antiquities market, partly visible through expensive auction houses but much of it clandestine. This market has fuelled destruction of archaeological remains around the world – a fundamental motivator of the cultural catastrophe in Syria and Iraq. Before IS began its singularly devastating rampage, most if not all of Syria’s warring factions were getting in on the heritage-looting act. This was horribly apparent in another ancient site closely linked to Palmyra: Dura Europos on the Euphrates. In AD 165, this constitutionally Greek city with a majority Mesopotamian population passed from Parthian to Roman rule, acquiring an imperial garrison and Jewish and early Christian communities. It has been nicknamed the “Pompeii of the East”, since scientific excavations there have given us astonishingly vivid glimpses of the ancient multicultural nature of the region. And it is now being systematically destroyed. Satellite imagery has confirmed reports that Dura has been looted on a truly nightmarish scale. Machines have been used to tear hundreds of huge holes in its fabric in search of anything saleable. This destruction started before IS seized control of the area, though the group will now be conducting or taxing the continuing looting. Huge plundering operations of this kind, also seen at sites beyond IS control such as Apamea in Western Syria, are apparently being bankrolled and organised from outside the war zones. Well-equipped gangs enter from surrounding countries to retrieve antiquities and smuggle them back out across the borders to feed the international market. To professional plunderers, archaeological remains are simply something to steal and sell to the highest bidder, and this mindset matches IS’s utter ruthlessness in procuring resources to fuel its campaign. The group has embraced everything from illegal oil sales to enslaving Yazidi women. And just as we have long since outlawed slavery and learned to see environmental crime for what it is, it’s time to crack down far harder on heritage destruction – not least on the unscrupulous dealers and collectors who fuel it. Simon James is Professor of Archaeology at University of Leicester.